How can families and the community contribute to your quality improvement processes and goals? How can these collaborative relationships support children and contribute to quality outcomes? In this third instalment, I turn my attention to the partnerships at the heart of Quality Area 6 and their potential for supporting and enhancing outcomes for children. Relationships are very much at the heart of our profession. Quality Area 6 – Collaborative partnerships with families and communities speaks to the familiar adage ‘it takes a village to raise a child’ and reflects current research that suggests when educators, families and communities work together as partners to collectively support children’s healthy development and wellbeing, the potential for improving positive learning outcomes is enhanced. This quality area focuses on educators, families and communities uniting around a shared vision for children and working together to achieve goals. The changes to the National Quality Standard (NQS) present an opportunity to reflect on existing practices and consider how families – as children’s first and influential educators – are meaningfully supported from the time of enrolment to exercise their agency and contribute to service self-assessment, decision-making and quality improvement processes. The 2018 NQS can also help you consider how your service establishes and maintains an active presence in the local community, seeks to strengthen community links and learn about local community contexts, aspirations and needs to develop inclusive and responsive programs and quality improvement goals. You might also like to reflect on the way family and community engagement in your service’s self-assessment and quality improvement processes speak to the advocacy of education and care in your community and help raise public awareness of the importance of early childhood development and the benefits of quality education and care. Tip: ‘Family’ is a single word with many different meanings. 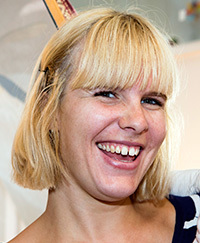 Children have diverse understandings of ‘family’ and unique relationships with those who feature predominately in their lives. Extended families, kinship ties, carers and guardians can provide essential relationships in children’s lives. How do you reflect on what the concept of family means to each child and nurture the important relationships that exist between children and their families? Does your concept of family reflect the diversity of family structures in the service and the wider community? How are your self-assessment and quality improvement processes shaped by meaningful engagement with families and the community? What techniques or strategies do you use to encourage families and the community to meaningfully inform the development and review of quality improvement planning processes, including self-assessment? How effective are these strategies in receiving and addressing feedback? Is your service’s Quality Improvement Plan displayed or accessible so families can view the current goals and strategies for quality improvement? How do you share your progress and celebrate achievements with families? How is community level data (e.g. 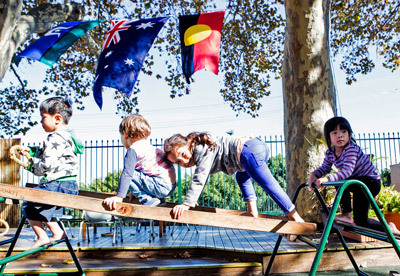 the Australian Early Development Census [AEDC]) used to identify the vulnerabilities of children in your community, identify quality improvement priorities and support partnerships that provide targeted support to children and families? Tip: Early Childhood Australia (ECA) and the Queensland Department of Education have developed a free suite of resources to help services use the AEDC data. The AEDC data provides important information about the development of Australia’s children, with these resources providing clear links to the NQS and approved learning frameworks. View the AEDC resources and read more about how you might use the results to inform your self-assessment and quality improvement practices and support areas of vulnerability in your community. Building on these collaborative relationships, in the next instalment we will look at relationships with children and their active and meaningful participation in your self-assessment and quality improvement processes. Harmony Day on 21 March was an opportunity to celebrate Australia’s diversity. This month, we hear from Jenny Ashenden, Teacher in Charge, at Larapinta Preschool in the Northern Territory about their daily practice and programs that encourage respect, curiosity, and develop children’s knowledge, particularly in regards to its local Aboriginal and Torres Strait Islander communities. At Larapinta we use a parent’s eye to understand where children have come from and a teacher’s eye to plan for where they are going to as learners. This means that age, gender, position in family, developmental levels, prior experiences, strengths, needs, cultural backgrounds and family expectations are used to inform our pedagogy, planning and practice. 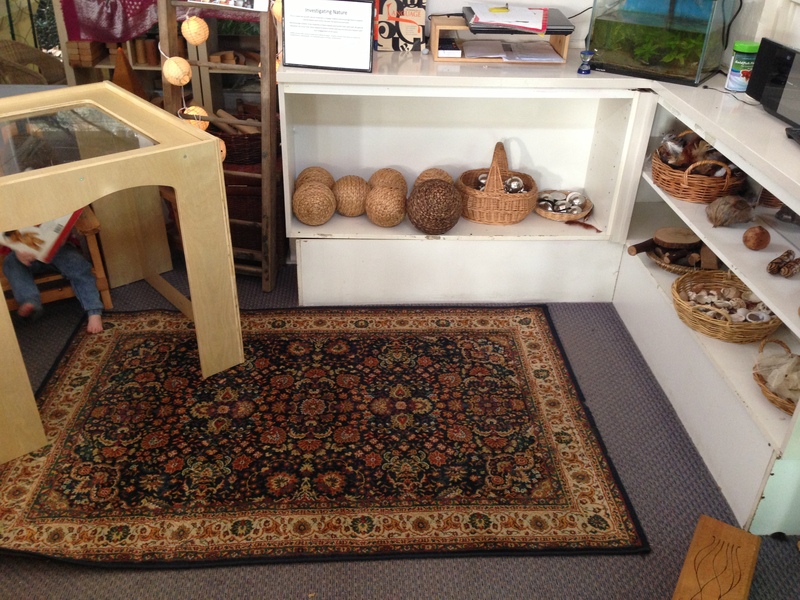 We strive to create a sense of belonging for the families and children that attend Larapinta Preschool. There is an emphasis on developing and nurturing partnerships with families, local community services and children. 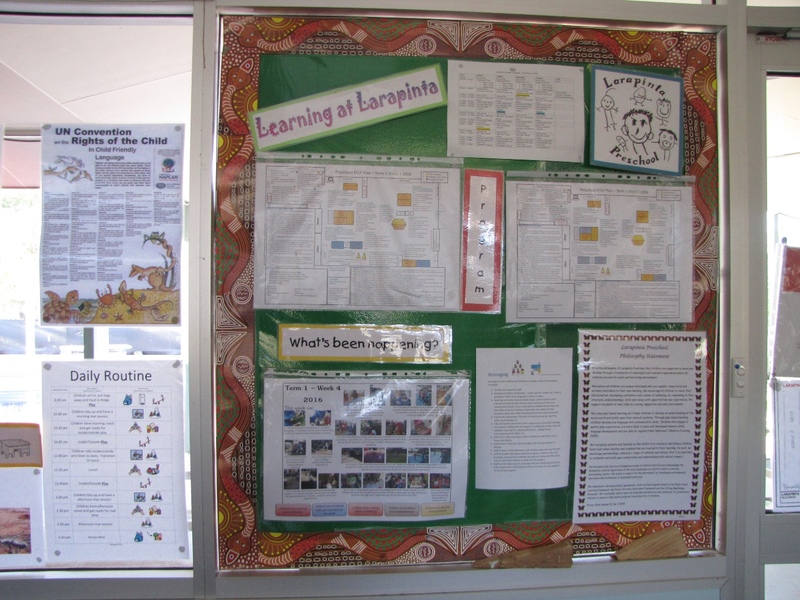 Each year we revisit and update the Larapinta Preschool Philosophy to ensure we have a clear understanding of how we can act in a respectful manner towards all cultures. At our preschool we believe that relationships and partnerships form the foundation for learning and inform our daily practice and long term planning. As we are based in the Northern Territory, we have a particular focus on Indigenous communities but we celebrate and embrace all cultures of our children, families and staff. attending a Central Australian Early Childhood Educators’ Association meeting, organised by one of our preschool staff members – learning about the world view of traditional owners of the land around Alice Springs via a cultural explanation of how local landmarks and sites of significance were created. We also make use of the expertise of staff. Last year we celebrated NAIDOC week by organising an excursion to the Alice Springs Desert Park where children and educators worked together to cook kangaroo tail and damper the traditional way, in the hot ashes of a campfire. We strongly believe families are the very first teachers and we work in partnership with them. Simple strategies include greeting family members in their home language, having daily conversations, communicating via email and having a suggestion box for feedback. 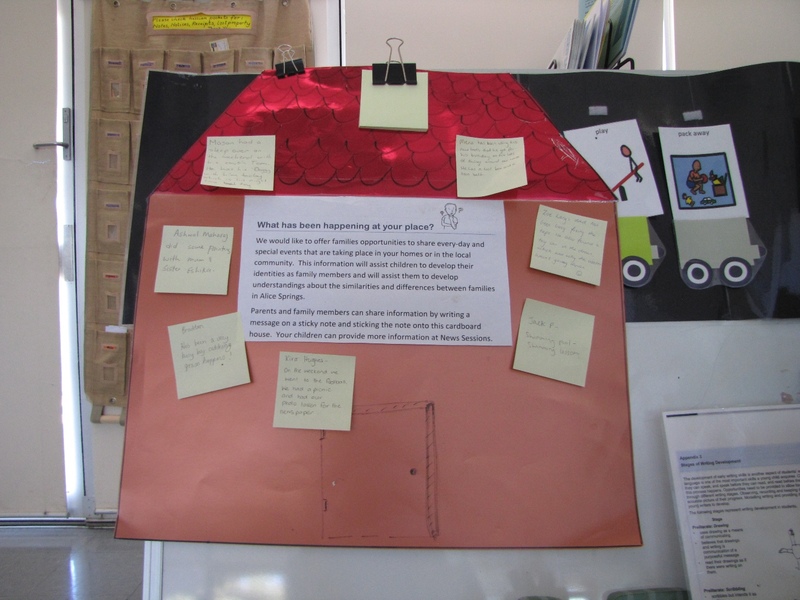 A ‘My Place’ poster is on display for families to share events, interests and questions from home. Children are encouraged to share their stories in class. Parent meetings allow us to learn about the backgrounds and cultures of families in detail. A parent shared her childhood memory of a lantern walk, a German tradition celebrating St Martin, and we organised a version that was adopted by the Larapinta Community the following year. our end of year performance celebrates and reflects our similarities, differences and diversity and children are encouraged to wear traditional clothing. The Harmony Day website has a number of resources and activities to assist educators to embed respect and celebration of cultural diversity into practice, policies and programs. These include lesson ideas, lesson plans and activities. Let us know on the ACECQA Facebook page if you have any other ideas or activities to share with educators. 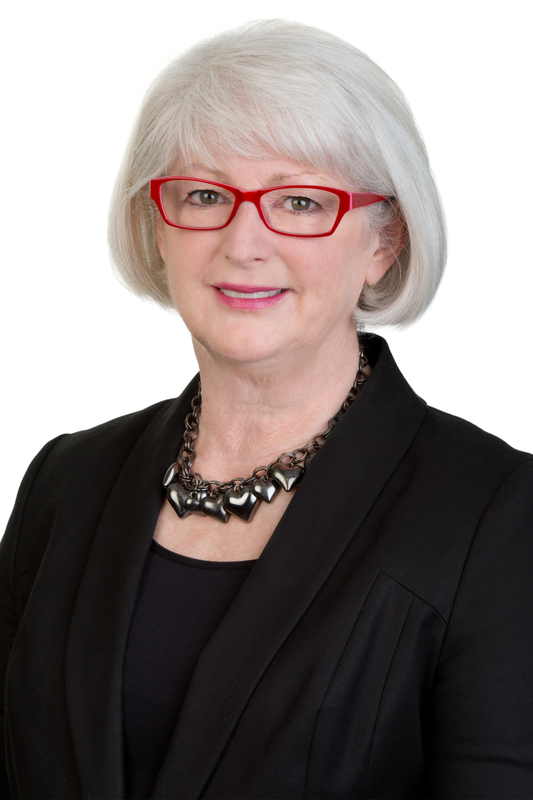 This month ACECQA’s National Education Leader, Rhonda Livingstone looks at genuine partnerships with families and communities that foster respect for diversity and contribute to positive learning outcomes for children. There is a traditional African proverb that suggests “It takes a village to raise a child”. Modern research supports that what children need is for families, educators and communities to collectively support their healthy development and well being. Recognising this, the approved learning frameworks identify as a learning outcome that children should have opportunities to connect with and contribute to their world. Children’s sense of identity develops through connections in their family, community, culture and environment. The National Quality Standard (NQS) goes beyond simply requiring parent involvement, instead encouraging respectful, supportive, collaborative relationships with families and communities. Quality Area 6 – Collaborative Partnerships with families and communities focuses on educators, families and communities uniting around a shared vision for children and working together to achieve goals. This Quality Area promotes respectful supportive relationships with families (NQS Standard 6.1), support for families in their parenting role and their values and beliefs about child rearing (NQS Standard 6.2) and collaboration with other organisations and service providers to enhance children’s learning and wellbeing (NQS Standard 6.3). When educators establish respectful and caring relationships with children and families, they are able to work together to construct curriculum and learning experiences relevant to children in their local context. These experiences gradually expand children’s knowledge and understanding of the world. Collaborative relationships are built in an environment of mutual respect, trust and honesty, established through effective communication and strengthening each other to feel capable and empowered. The Connections resource developed by the Hunter Institute of Mental Health offers practical strategies for communication with families including dealing with sensitive issues. The approved learning frameworks identify that learning outcomes are most likely to be achieved when educators work in partnership with families and communities. In respectful partnerships, educators also support parents in their parenting role. They may for example source and share information from reputable sources with parents. For example, in response to a parent enquiry, educators and parents may discuss safe sleeping at home, drawing on and referring to reputable sources of information such as the SIDS and Kids resources. The learning frameworks note that educators who are committed to equity believe in all children’s capacities to succeed, regardless of diverse circumstances and abilities. Collaborative relationships and the use of critical reflection allow educators to implement programs that provide equal opportunities for all children to achieve learning outcomes. As part of Quality Area 1: Educational Program and Practice each child’s current knowledge, ideas, culture, abilities and interests are the foundation of the program. The NQS requires educators to adapt their curriculum to support each individual child including cultural factors which contribute to who they are, how they learn and how they respond. The experiences, interactions and routines each child engages in need to be relevant to them, respectful of their background and recognise and build on their current interests and abilities. The approved learning frameworks stress the value of demonstrating respect for diversity and promoting cultural competence within education and care services. To support individual children, educators need to learn about each child’s background and respect and honour family histories, cultures, languages, traditions, child rearing practices and lifestyle choices. While feedback from families is important educators also need to be mindful and respectful of individual contexts and diversity. We need to reflect and consider a range of ways to appropriately, respectfully and realistically involve families, many of whom are balancing family, work and other responsibilities. Community involvement, such as drawing on the expertise of those belonging to a cultural group or inviting culturally relevant guests to the service may also build a respect for diversity and cultural competence. The development of genuine, respectful partnership relationships requires educators to seek information or strategies from families or professionals to enhance their pedagogy and curriculum. Thinking that there is only one right way and not reflecting on practice can mean that opportunities are lost for children’s learning or that they can be disadvantaged by it. Critical reflection involves thinking about all aspects of experiences and considering different perspectives. For example it is important for educators to seek to understand the perspective of the parent as well as reflect on their own pedagogy, feelings, values and beliefs when addressing parental concerns to ensure fair, equitable and respectful outcomes. The Connections resource shares further insight into considering different perspectives. With end of year approaching, it’s a good time for educators to consider how end-of-year and new-year celebrations offer opportunities to engage in genuine partnership relationships with families and communities that foster respect for diversity and contribute to positive learning outcomes for children. Child Australia. Welcoming Conversations with Culturally and Linguistically diverse families An Educators Guide. Offers practical advice for collaboration with culturally and linguistically diverse families. Community Child Care. Self-Guided Learning Package, Discussing Sensitive Issues- A Proactive Approach to Communicating with Families. This resource is a practical learning guide to assist educators in communicating effectively with parents. Kidsmatter: Families. KidsMatter provides families with a range of information sheets to help them support children’s mental health and wellbeing, and to recognise if and when professional help is needed. Linking Together for Aboriginal Children provides educators with advice, information and tips on how to effectively collaborate with the Aboriginal community in their area. NAPCAN Brochures. Brochures to support parents in their role and prevent child abuse. Raising Children Network. This website is a useful to share with parents to support them in their parenting role. SIDS and Kids Website. This website provides useful information on safe sleeping. ACECQA spoke with Service Support Manger, Judy Collins at the Bundaberg Baptist Family Day Care Service about the programs and activities in place to engage families and include them in children’s learning. “We help parents to take an active role in their children’s education, development and overall wellbeing,” Judy said. “The Home Interaction Program for Parents and Youngsters (HIPPY), funded by the Australian Government Department of Education, is just one example of how we empower parents to participate in their children’s learning. Tutors from our service, (HIPPY Bundaberg) visit families in their home environment and role-play learning activities that the parents then deliver to their children. “It’s about developing a love of learning and prepares the children for their smooth transition to school. It also acknowledges that the parent is the child’s first teacher. The program has been really successful and we’re looking forward to continuing on in 2015,” Judy said. Bundaberg Baptist Family Day Care Service also unites with other organisations in the community to support families and enhance children’s wellbeing, especially in the lead up to Christmas. “With Christmas around the corner we’re working with the local newspaper and Bundaberg Baptist Church for the provision of Christmas hampers for those families who have experienced a difficult year. We are fortunate to have the support of the local newspaper, who organise the ‘Adopt-A-Family Christmas Appeal,” said Judy. Kids in Cars is another program that helps families at this time of year. Judy believes a child’s sense of identity develops through connections in the family, community, culture and environment. “We support the broader community and empower families because we know this leads to better outcomes for children,” she said. Department of Education, Employment and Workplace Relations [DEEWR]. (2009) ‘Belonging, Being and Becoming – The Early Years Learning Framework for Australia’, Early childhood Pedagogy, pp. 11. Department of Education, Employment and Workplace Relations [DEEWR]. (2009) ‘Belonging, Being and Becoming – The Early Years Learning Framework for Australia’, Principles, pp. 12 and Department of Education, Employment and Workplace Relations [DEEWR]. (2011) ‘My Time, Our Place – Framework for School Age Care in Australia’, Principles, pp. 10. Department of Education, Employment and Workplace Relations [DEEWR]. (2009) ‘Belonging, Being and Becoming – The Early Years Learning Framework for Australia’, Principles, pp. 12 and Department of Education, Employment and Workplace Relations [DEEWR]. (2011) ‘My Time, Our Place – Framework for School Age Care in Australia’, Principles, pp. 11. 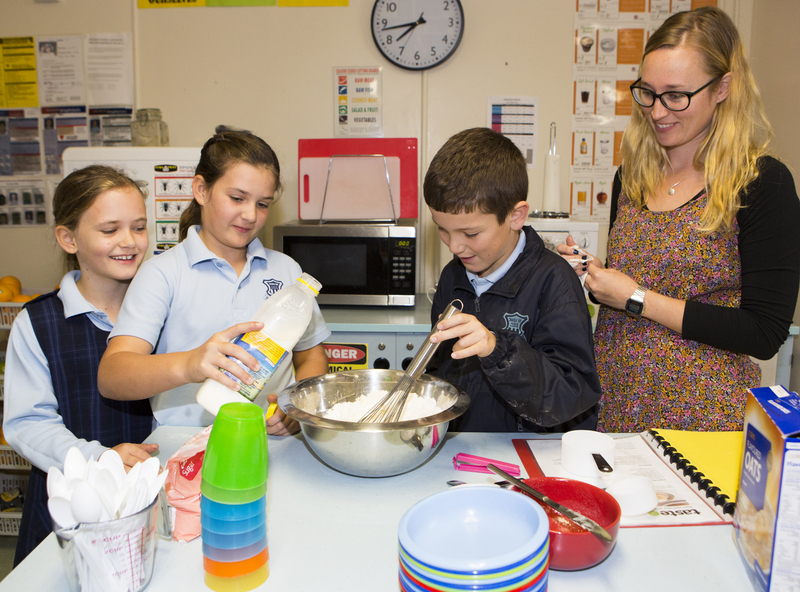 ACECQA ‘s National Education Leader, Rhonda Livingstone, explores the physical implications of nutritious food and why healthy eating practices are such an important component of the National Quality Framework. We are all familiar with the saying “an apple a day keeps the doctor away” and likely remember being told that “carrots help you see in the dark”. But what are the physical implications of the intake of nutritious food and why is their consumption so highly promoted in the National Quality Framework (NQF)? When receiving nutrients, studies have shown the body prioritises survival first, followed by growth, then brain development. Being well-nourished can have a significant impact on children’s long term health including physical and motor development, brain development, immunity and metabolic programming. Due to the rapid pace of brain development, nutrition can affect a child’s learning capacity, analytical and social skills, and their ability to adapt to different environments and people. Research also shows that good nutrition protects the body against disease and determines the body’s metabolic programming of glucose, protein, lipids and hormones. Longitudinal studies have shown that responding early to cases of insufficient nutrition significantly improves long term health and productivity. The National Quality Standard (NQS) acknowledges the importance of nutrition for children. For example, Standard 2.2 of the National Quality Standard aims to ensure food and drinks provided by services are nutritious and appropriate for each child. To make informed decisions about what is nutritious and appropriate for children, services are encouraged to refer to guidelines and advice from recognised authorities such as the Department of Health and Ageing’s publication, Get up and Grow: Healthy Eating and Physical Activity for Early Childhood and the Dietary Guidelines for Children and Adolescents in Australia. Services are also encouraged to ensure that food is consistent with advice provided by families about their child’s dietary requirements, likes, dislikes and cultural or other requirements families have regarding their child’s nutrition. To meet approved learning framework outcomes, services should provide many opportunities for children to experience a range of healthy foods and to learn about food choices from educators and other children (Early Years Learning Framework, page 30; Framework for School Age Care, page 30). the approved provider must ensure policies and procedures are in place in relation to health and safety, including nutrition, food and drinks, and dietary requirements (Regulation 168). 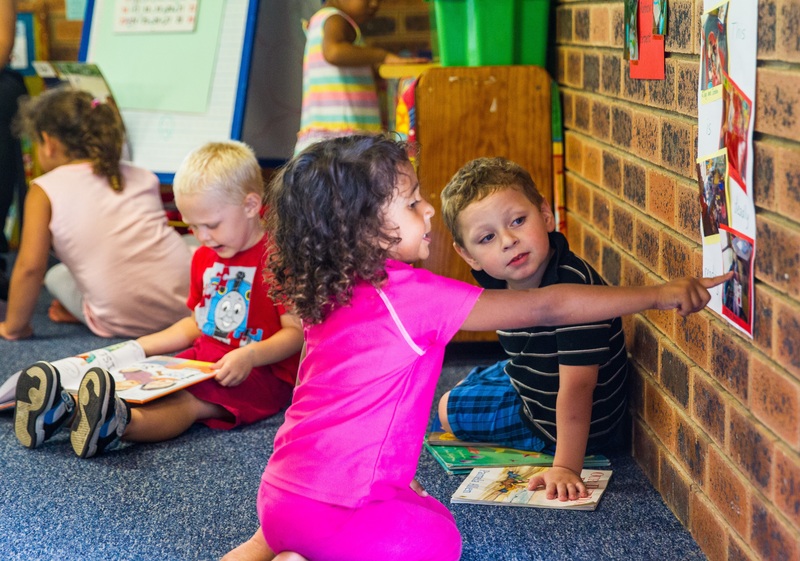 The NQF recognises the professionalism of the education and care sector. Providers and educators are encouraged to use their professional judgement to make informed decisions when developing policies and procedures for their service, children and families. Collaborative relationships with families play an important role and will help in promoting understanding of healthy eating for children. Nutrition Australia – Children and the Guide to the National Quality Standard pp. 60- 63 are also useful resources for educators and parents. 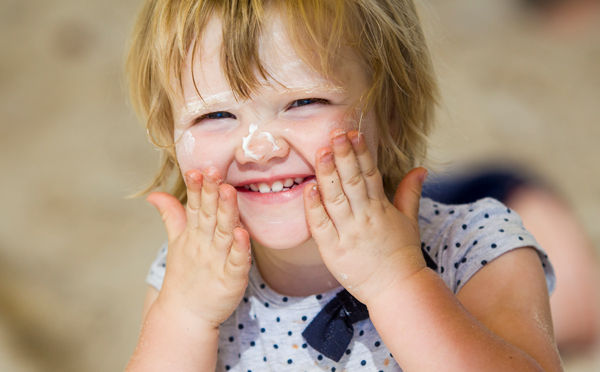 ACECQA spoke with a NSW service to see how they promote healthy eating practices, nutritional value and physical play. 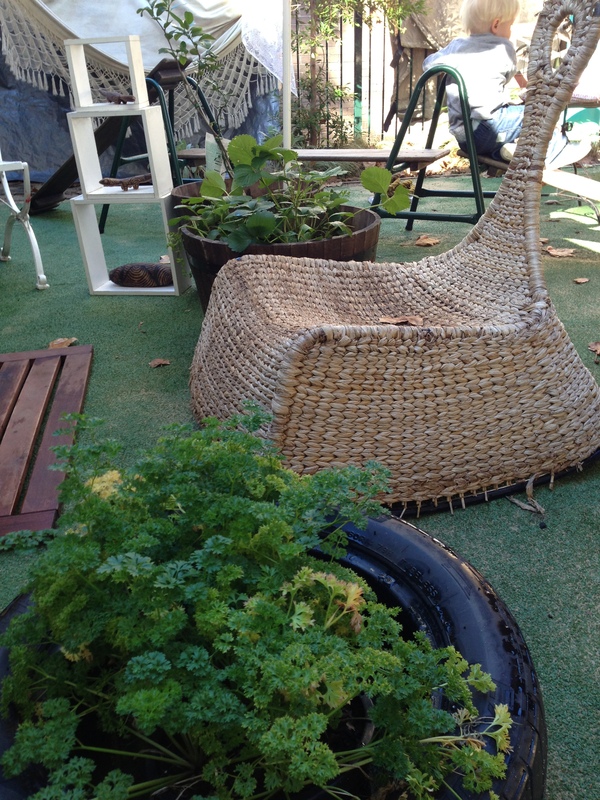 Double Bay OSHC in Sydney encourages children to adopt healthy eating practices on a daily basis. Team Leader, Karim Moulay, said by displaying posters and signs around the kitchen and service, staff and children are reminded of the nutritional value of the food they prepare and eat. “Ensuring the safety of children during food-based activities is also a focus for educators. In addition, all food-based activities contribute to their overarching health and nutrition curriculum, and learning outcomes. “Even in our cooking classes our children are learning lifelong skills such as teamwork, cooperation, volume and quantities, cleaning, sanitising and cooking,” Karim said.